There is nothing dignified about a hospital visit. Waiting for hours, being poked and prodded — and, worst of all, wearing hospital gowns. Nothing says “dignity” like having it all hang out for the world to see! But unfortunately for people with lupus, hospital visits are often part of the equation. For the chronically ill, it’s just a reality sometimes — which is why INGA Wellbeing decided to launch a clothing line specifically for chronic illness patients. Men and women with chronic illnesses can feel cozy and stylish in daywear and nightwear designed just for them — from wrap dresses to cross-over tops to pajamas. This chic, comfortable, and practical line was created by three women from Belgium — with the help of patients, doctors, and nurses — to empower people with illnesses. Featuring discreet openings, soft and stretchy material, and pockets, you’ll have no problem dressing yourself and feeling more comfortable in hospital and at home. 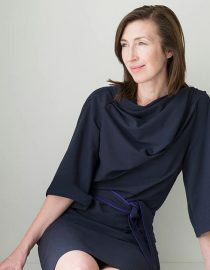 “I had the idea to create dignified and elegant patient clothing in 2005 when my mother was battling cancer,” says co-founder Nikla Lanksweert. The idea is for people to be seen as people, not patients in hospital gowns. INGA Wellness is quickly gaining popularity with chronic illness warriors and their loved ones. “The brilliant creation of INGA patient clothing has enabled me to give a gift to a friend in her time of need when it is hard to know what to give, or how to help,” a customer shared on Facebook. You can find INGA Wellness’ entire line and more information on their website. Photo courtesy of INGA Wellness. Caring for someone with lupus can be difficult. While you will need to make sacrifices, you also need to be sure you don't burn out.